NEW YORK - On the market day of April 26, 1937, at the bequest of Spanish Gen. Francisco Franco, a bombing of the Basque town of Guernica took place. It was carried out by Spain’s nationalistic government allies, the Nazi German Luftwaffe’s Condor Legion and the Fascist Italian Aviazione Legionaria. The attack, under the code name Operation Rugen, in which hundreds of people died, became a rallying cry against the brutal killing of innocent civilians. 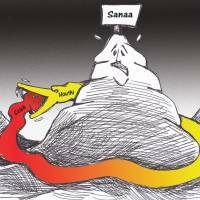 Eighty years later, however, an even more criminal action is being carried out against Yemeni civilians mainly by Saudi Arabia, with the complicity of the United States. The Yemeni civil war began in 2015 between two factions that claim to represent the Yemeni government. Houthi soldiers allied with forces loyal to the former president, Ali Abdullah Saleh, clashed with forces loyal to the government of Abdrabbuh Mansur Hadi. A coalition led by Saudi Arabia launched military operations against the Houthis, and the U.S. provided logistical and military support for the campaign. The Houthi rebels make up almost a third of Yemen, and have ruled the country for hundreds of years. 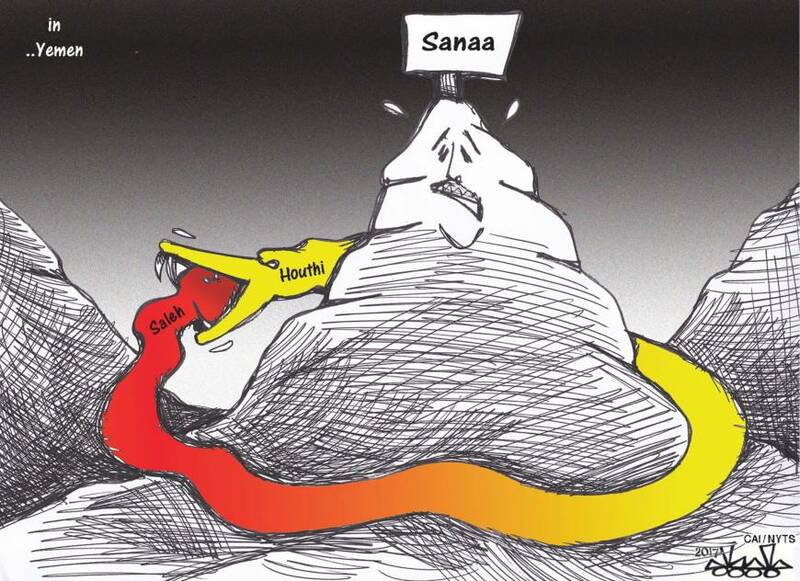 Since the beginning of the hostilities, the Houthis advance to the south of Yemen has met with the constant bombardment by Saudi Arabia and its allies, resulting in a dramatic humanitarian crisis. Thousands of people have been killed, many of them civilians, and thousands more have been forced to leave their homes and are desperately trying to find food and potable water. Contaminated water as a result of an almost total sanitation breakdown has provoked a cholera outbreak considered the worst in history. The World Health Organization has reported more than 815,000 suspected cases and 2,156 deaths. At the current rate of infection, experts estimate that the number of cases will reach seven figures by the end of the year. Presently, almost 20 million Yemenis — more than two-thirds of the population — do not have access to clean water and sanitation. Since the beginning of the conflict, the emergency health care needs of the population have been so great that health care workers are unable to provide even basic medical care. When fighting intensified in some areas, there were no formal rescue services, so residents and relatives had to dig their loved ones out from the rubble of damaged buildings. An Amnesty International report titled “Yemen: The Forgotten War” describes the consequences of the attacks carried out by Saudi Arabia’s coalition. According to the report, more than 4,600 civilians have been killed and over 8,000 injured. Three million people have been forced out of their homes and 18.8 million people are in need of humanitarian assistance including food, water, shelter, fuel and sanitation, and 2 million children are out of school. The flow of arms, however, continues unabated. “The irresponsible and unlawful flow of arms to the warring parties in Yemen has directly contributed to civilian suffering on a massive scale,” declared James Lynch of Amnesty International. As Iran continues its support of the Houthis’ ragtag army, reports indicate that Saudi Arabia will purchase $7 billion worth of arms from the U.S. In Yemen today, world powers have not yet learned the lesson from Guernica. Cesar Chelala, M.D., is an international public health consultant and a co-winner of an Overseas Press Club of America award and two national journalism awards from Argentina.